Salterford House is an independent preparatory school of 100 children on the outskirts of Nottingham. 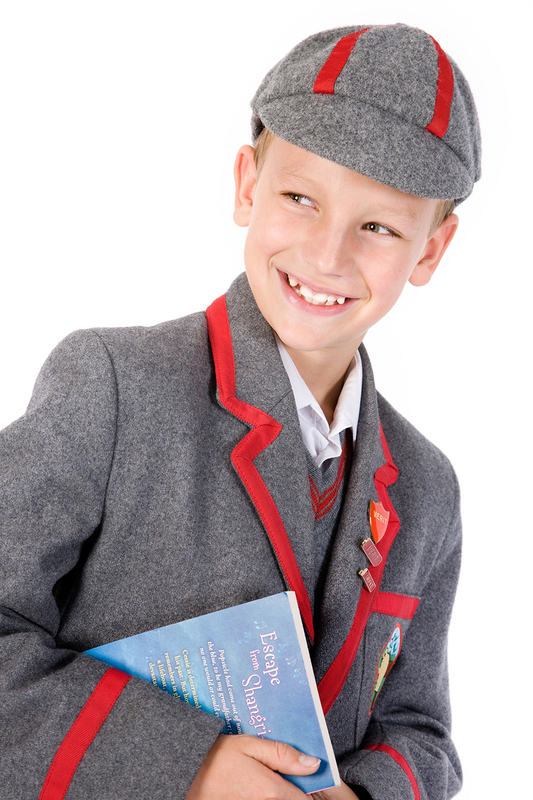 They required portraits of pre-selected pupils to be used in an advertising campaign on the rear of local buses. Due to the scale and design of the adverts it was imperative the photographs were of the highest quality, evenly lit and tack-sharp, so they approached Mirror Imaging Photography in preference to drawing on their back catalogue of school photographs taken by other photographers. The portraits needed to be taken on a neutral backdrop, so their graphic designers could easily cut out and superimpose onto their own graphics. We took the photographs on-site at the school, using our studio lighting and backdrop, working quickly with the minimum of disruption to lesson times.